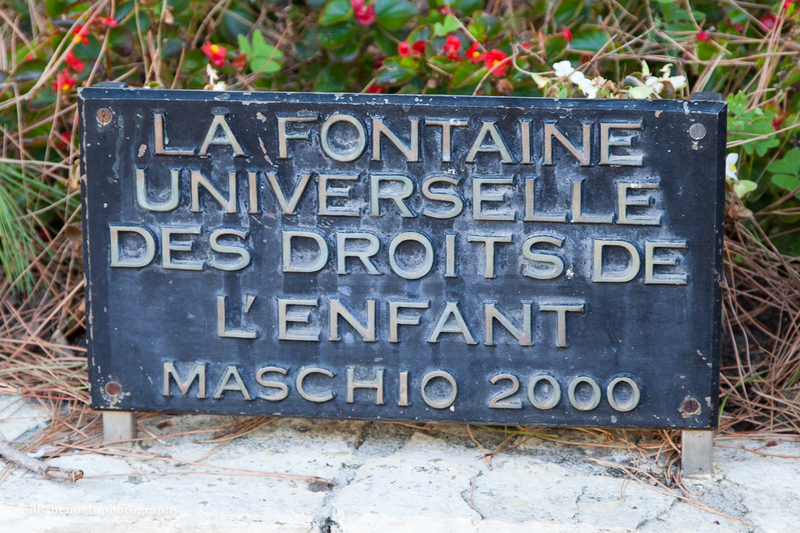 This fountain, whch stands for the Universal Right of the Child, stands opposite the children's play area in the Parc Paysager de Fontvieille. 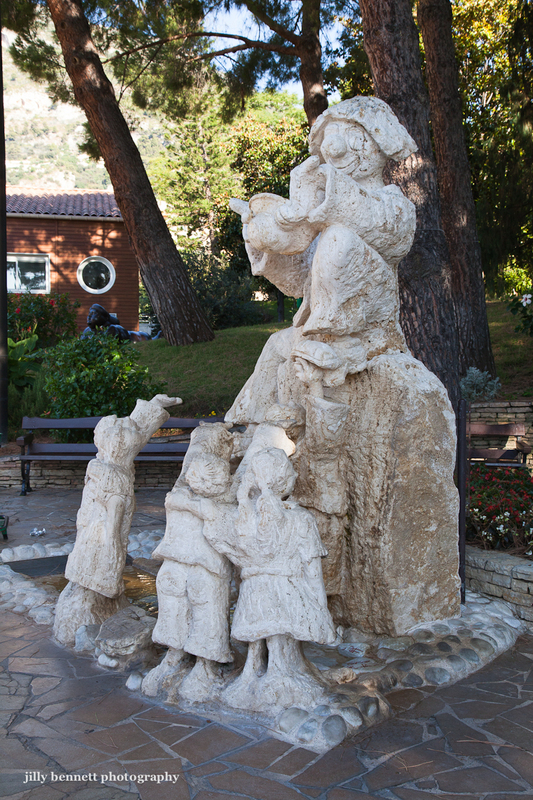 It was created by Franco Maschio in 2000. 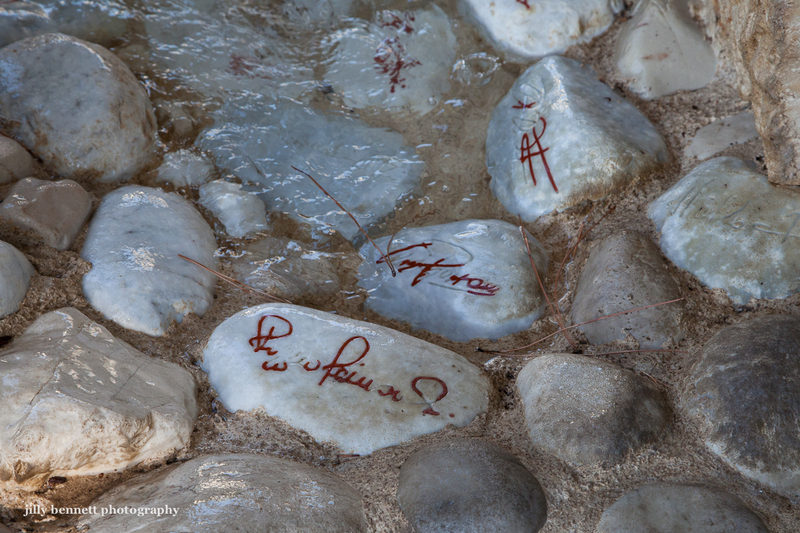 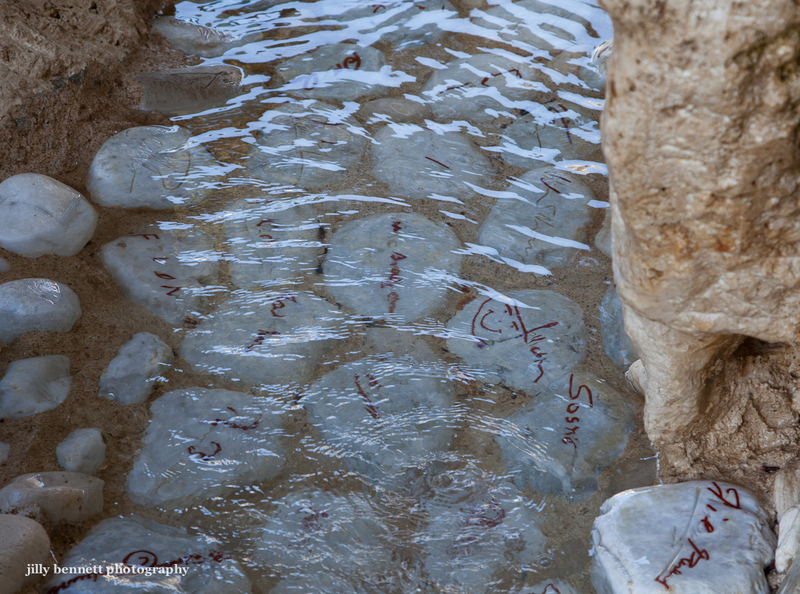 The base of the fountain is filled with pebbles signed by celebrated artists whose work can be found in Monaco. Great shots - I like how you captured the gleam of the flowing water. 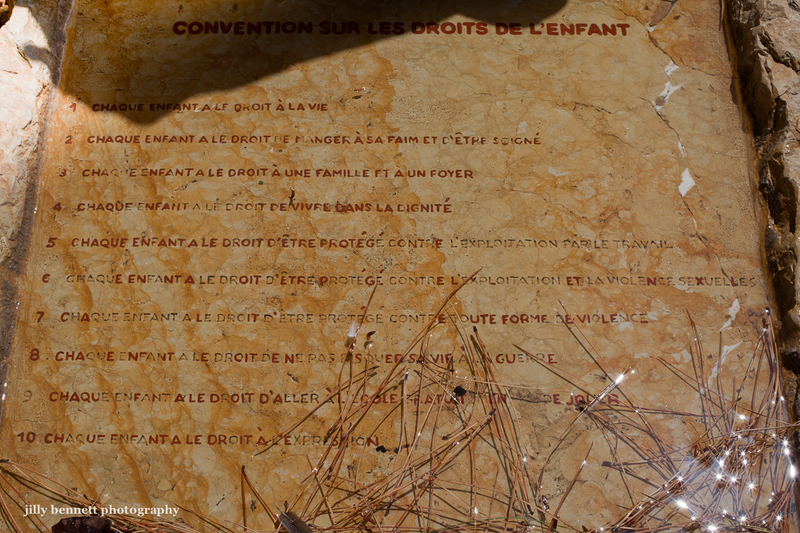 This is a good concept, as children throughout the world should indeed have universal rights, wherever they happened to be born. And what a difference their place and circumstances of birth makes.